Description: BATTLE PET! Necro-facturer's waming: Skull helm does not prevent bat from sucking blood. Make sure it knows who its target is. We are not responsible for loss of HP! 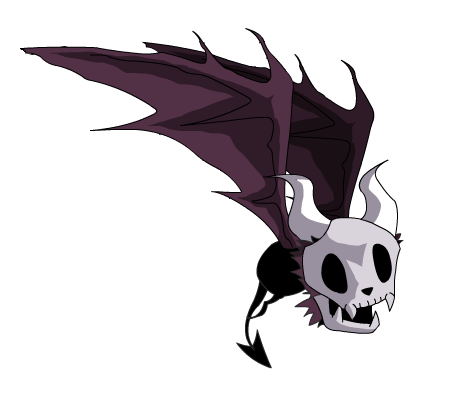 Note: Also see Necrosian Skullbat.